What makes a supply chain tops in APAC? This year marks the 13th anniversary of the Gartner Supply Chain Top 25 — an annual recognition of achievement and advancement of supply chain capabilities. Here are the highlights of the Gartner Asia/Pacific top nine companies. 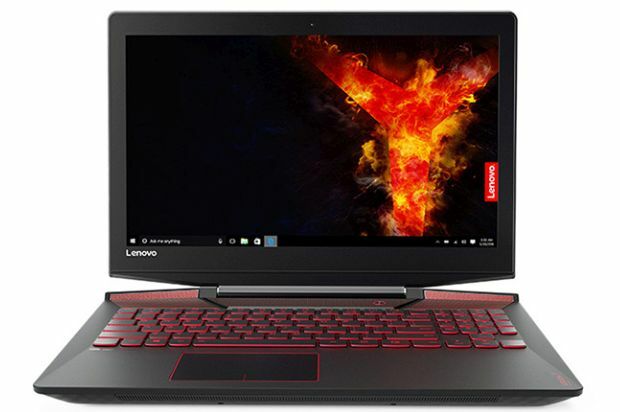 Lenovo moves up to the No. 1 spot within the Asia/Pacific region for 2017 as the Chinese high-tech company continues as a leader in the mature PC market, selling four devices every second. Investments in digital capabilities, such as predictive analytics, are paying off, allowing the business to simulate threats and opportunities while driving forecast accuracy improvements and optimising inventory holdings. Coupled with a mature S&OP process and a shift from traditional product-centric to more customer-oriented quality measures, the business is on a strong footing for continuing success. Upstream, Lenovo is implementing an enterprise-grade visibility and risk management tool to improve performance in sourcing, manufacturing and logistics. While it has increased ownership of factories over the past several years and is using network optimisation to drive capacity utilisation across business units. Lenovo is also investing in smart manufacturing, including automation, toward a goal of having the most advanced factories in the PC industry. Samsung takes the second spot on the Asia/Pacific list in 2017 down from No. 1 in 2016. The Korean consumer electronics giant also dropped significantly in the global rankings this year from No. 8 to No. 25 on the back of governance failures that lead to the much publicised quality issues with the Galaxy Note 7 smartphone batteries. While the resulting product recall was a blow to the brand’s reputation, a continued long-term focus on core fundamentals, such as supply chain agility, supplier/customer integration and end-to-end value chain collaboration, has helped maintain a strong peer vote and enabled it to solidify the No. 2 spot. A lower-than-average CSR score of 4 out of 10 is an improvement opportunity for it to regain its leader status in the region. Chinese multinational Huawei moves up two places from last year to No. 3, driven by enviable growth in recent years, sporting a 31.3% three-year average revenue growth rate, as it climbed to No. 3 in the global smartphone market. Strong customer partnerships, digital supply chains and smart factories had been the key drivers of the Huawei supply chain capability improvements. In addition, a strong focus on sustainability reflected in Huawei developing more energy-efficient products with minimal environmental impacts, while reducing carbon emission and conflict materials across its global supply chain. Longer term, and in conjunction with its strategy to become a major global player, Huawei has also developed a vision that embraces the goal of being a responsible value-driven organisation. Pursuing strong growth and customer orientation through cost innovation and risk mitigation in collaboration with suppliers and customers, the company also strived to improve cybersecurity of its products. As the only business to have placed in the top 10 within the Asia/Pacific region every year since 2007, Toyota is an extremely consistent performer. The business has a strong track record of investing in new digital technologies with significant deployment of robotics and autonomous guided vehicles across its manufacturing facilities. New investments in innovative technologies are being made through the Toyota Research Institute (TRI), which has recently partnered with MIT to investigate how blockchain technology can be used to securely share and monetise businesses and individual driving information. The TRI also recently established a $100 million fund, called Toyota AI Ventures, to provide early-stage financing to startups focused on key technologies, including artificial intelligence, robotics and autonomous mobility. A number of notable investments in new manufacturing capacity are also being made, such as the development of a new $1 billion facility in Guanajuato, Mexico and $300 million investment into its existing Burnaston plant in the UK. A new entrant to the Top 25 for 2017, Japanese auto parts manufacturer Bridgestone has come in at No. 5 on the Asia/Pacific list and No. 51 overall. A range of initiatives and technology investments focused on integrating the supply chain planning functions (production planning, distribution planning and transport planning) in recent years has allowed the Japanese auto parts manufacturer to substantially improve overall visibility of available products to end customers. This improved supply chain integration is now proving to drive higher levels of customer satisfaction while simultaneously reducing overall supply costs. Bridgestone also impressed on the CSR front by taking an end-to-end view of its impact on the environment. For example, Bridgestone estimates that around 90% the CO2 emissions produced by tyres actually occur after they have been fitted to the vehicle, and have invested in a range of technologies including “ologic” to optimise tire design. The result is reduced aerodynamic and rolling resistance that improves the fuel economy of the vehicle itself. This proactive and comprehensive approach to its CSR policies helped it score a 9.00 in that portion of the rating. This Chinese manufacturer jumped one position in its ranking among Asia/Pacific supply chains, while advancing 13 places overall compared to 2016 rankings — supported by strong three-year revenue growth. A winner of a Gartner Chainnovator Award 2017, Haier has been investing strongly in transforming its supply chain through digitalisation. Haier’s “Interconnected Factory” seeks to improve customer experience through integrating demand into supply chain and factory processes — by developing an end-to-end ecosystem that promotes a shift from mass production to mass individualisation. A part of Haier’s supply chain success has also come through its successful strategy of globalisation and developing R&D, design and production capabilities closer to market. However, with a CSR score which currently stands at 2.00 — the lowest among the group — the company has opportunities to improve its CSR activities. A new entry to the list at No. 7 is Wesfarmers, a retail-industrial conglomerate with significant Australian focused operations across a variety of retail segments, from grocery to department stores, home improvements and office supplies. The business operates dedicated supply chains across its various brands that support over 4,000 retail locations. Recent investments in the KUKA robotic system within Wesfarmers grocery-focused business, Coles, are a proof point of its focus on optimising and digitising its supply chain capabilities. Its Officeworks brand has leveraged its “every channel” strategy that focuses on integrating physical and online channels to become a true unified commerce leader. Headwinds do lie ahead for the business, with Amazon and other international players building or expanding their Australian operations while Wesfarmers attempts to integrate its recent acquisition of U.K. home improvements retailer, Homebase. Australian grocery giant, Woolworths, dropped four places in Asia/Pacific, and a substantial 37 places on the global ranking in 2017. Low scores across the areas of revenue growth and ROA have severely impacted its placement in this year’s list. Woolworths is taking a back-to-basics approach and focusing on value chain collaboration and improving supply through the brokering of longer-term supplier relationships. If it can combine this with previous investments in demand sensing capabilities, it should be in a strong position to comprehend the rapidly changing consumer environment and make informed trade-off decisions to optimise the flow of goods in and out of its network in the future. Woolworths also continues to push hard toward its CSR targets across three main pillars — people, planet and prosperity. Lofty 2020 targets, such as employing 40% women in the executive and senior management teams, zero food waste going to landfill, net zero deforestation for high impact commodities such as palm oil and timber and dedicating 1% of earnings (three-year rolling average of EBIT) to community programs, have seen it achieve a score of 9.00 for its CSR policies in this year’s evaluation. Sony, the Japanese conglomerate moved up one position in the Asia/Pacific list and eight positions in the global list from 2016. The company continues to face economic headwinds and its three-year revenue growth slowed significantly compared to last year. It improved its ROA marginally, while maintaining its CSR score. Sony showed its commitment toward CSR by implementing EICC framework to monitor compliance in its electronics manufacturing sites in and outside of Japan. The company has set targets for reducing environmental impact of logistics through a series of measures, including lightweight and compact product design, and optimising shipping efficiency. Supplier risk assessment and compliance to Sony Supply Chain Code of Conduct is an essential part of Sony’s strategy to ensure supply reliability. On the other hand, process automation helps the company respond to the markets quickly, which is also supported by a centralised inventory management system.